Amorim has a legacy that goes back to 1868 and is the global leading brand in flooring products with cork technology. Amorim is part of the Corticeira Amorim group headquartered in Portugal, the biggest cork product company in the world. Cork has unique qualities that no human has yet copied or improved, and is the ideal material for meeting the ever increasing demand for conservation of natural resources. 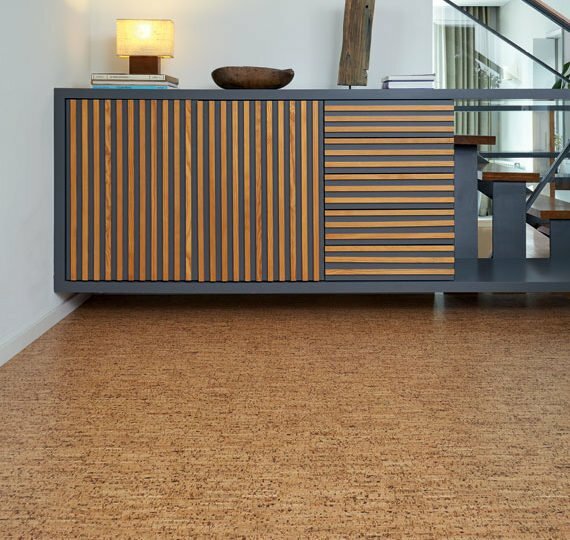 We are proud to be pioneering the return of cork flooring to the UK and introducing a new generation of specifiers to this remarkable product. The cork oak is a slow growing tree from the Mediterranean basin that may live for 200 years and plays a central role in the social and economic development of this region. 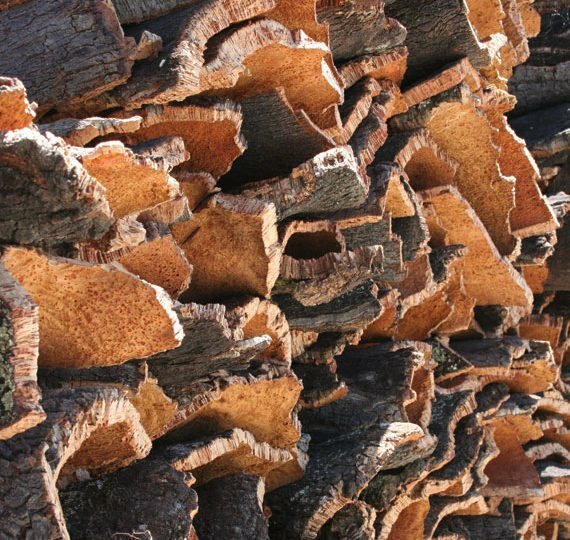 The bark of the cork oak is harvested every 9 years and is primarily used for the production of bottle stoppers, with the waste being used in many diverse applications, from spaceships to flooring. Our cork products represent a truly unique balance between the creation of innovative products and the protection of the environment, combining state-of-the-art technology with the amazing natural properties of cork. The extraction of cork is remarkably sustainable as the tree is never cut or damaged during the extraction process, and the bark regenerates after each harvest. 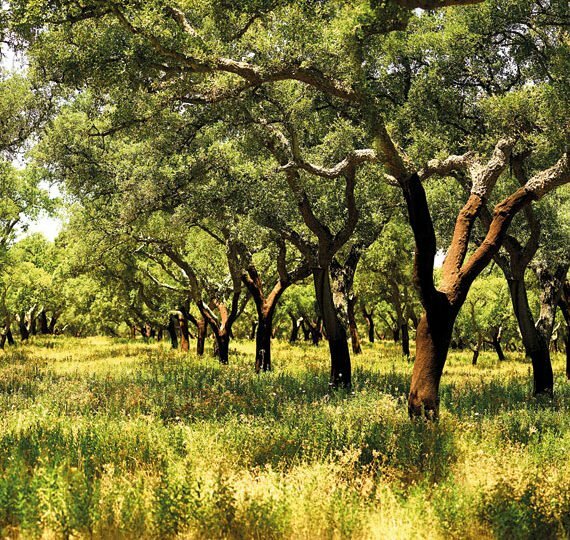 The Portuguese cork oak forests are responsible for retaining 5% of the country’s annual CO2 emissions, that’s 4.8 million tons per year. Cork oaks are harvested for the first time when the tree is 25 years old and then every 9 years making it an activity that passes from generation to generation. Cork harvesting is a regular and cyclical process that contributes to environmental, economic and social sustainability in rural areas. Cork growing, harvesting and related activities creates jobs in many rural areas of Portugal, encouraging people to settle in areas that might otherwise de-populate. The cork powder resulting from the industrial process is burned as biomass providing a major source of sustainable energy to the Amorim production facilities. Cork´s natural property of retaining CO₂ combined with an eco-sustainable industrial process allows Amorim to develop eco-efficient products with a low carbon emissions factor, positively contributing to a sustainable environment. Refined to be free of harmful phthalates and VOC’s Amorim products have been awarded the highest indoor air quality certifications. 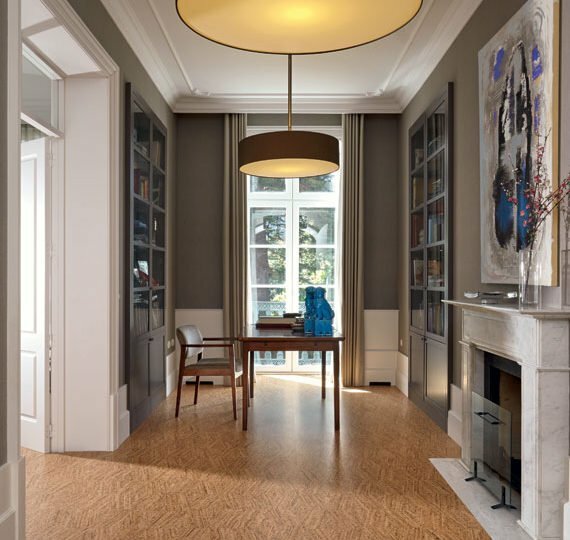 By using a uniquely engineered multi-layer composition a higher standard in flooring is achieved, which combines state of the art production technology with the exclusive natural properties of cork, providing the perfect match between beauty, comfort and durability. This is Corktech. Our cork flooring has been specifically developed for areas with heavy traffic, such as offices, hotels, shops and public spaces. This high performance flooring has an extra hard wear surface combined with nano-bead technology, where extremely small beads are embedded into the top layer for improved properties such as scratch, slip, scuff and stain resistance. 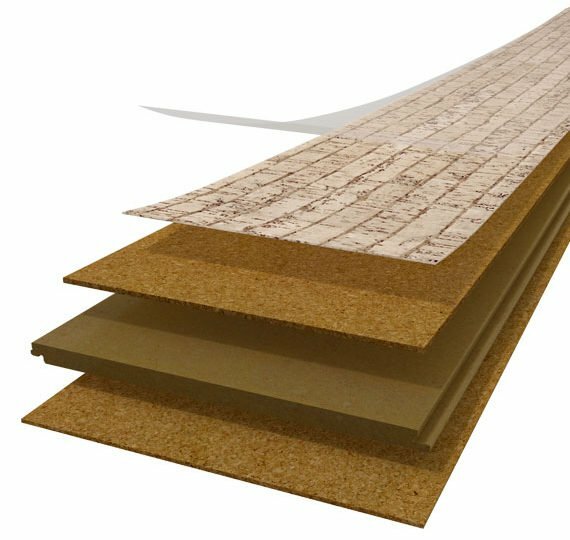 Cork is an extremely efficient natural sound absorber because its cell structure works as an acoustic insulator. Amorim floors can easily cut noise within a room and act as a noise buffer between the floor and the rooms underneath. making it exceptionally efficient to use in modern commercial spaces, apartments, hotels, schools and colleges and public spaces. Cork’s cell structure is composed of 40 million air-filled cells per cm³ and it is this honeycomb structure that explains why cork is such as elastic material. 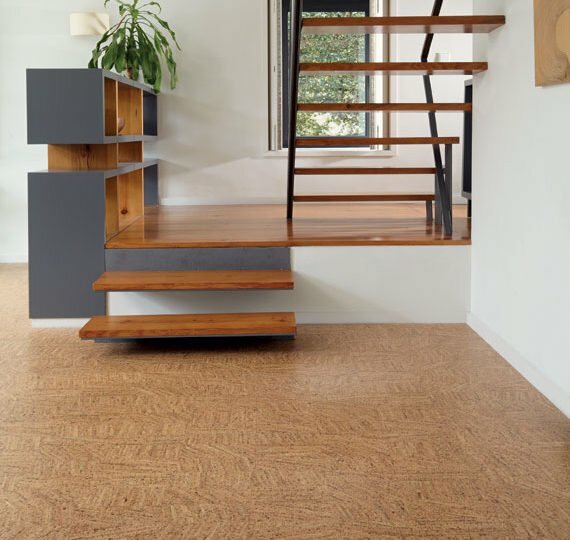 Cork flooring acts as a shock absorber which explains Amorim floors’ excellent resilient qualities and why they have the ability to bounce back from hard impacts. Our cork flooring is rated for Class 33 Heavy Commercial Use. It is so durable it can also be used under castor chairs. Few if any other cork floors can match this level of performance. Walking on overly hard floors creates energy that moves upward towards our muscles and tendons, causing them to vibrate. In time these vibrations strain our feet, legs, lower and upper back, creating tension and fatigue. Soft flooring can also produce fatigue. Studies reveal that cork is the perfect balance between too soft and too hard, providing an overall sense of well-being, less fatigue and therefore contributes to a more productive environment. Due to its unique honeycomb structure Amorim floors are natural thermal insulators. When touching cork, due to its ability to retain the ambient room temperature, you won’t feel a thermal shock, you will feel your own body temperature. Cork flooring plays an important role in maintaining comfortable temperatures in commercial buildings. The performance benefits of cork flooring for commercial spaces are clear and compelling, but there’s so much more than just performance. Our products range from the traditional cork aesthetic, to more contemporary looks, featuring ingenious patterns and beautiful colour washes. Corkrete, as the name suggests, is a stunning interpretation of concrete, it’s unique aesthetic created by applying a neutral colour-wash to the pared-down design of the cork surface veneer. The Cortex collection represents cork in it’s most natural form; organic patterns of various scales created by combining different granule sizes from different parts of the tree bark. We affectionately call it “corky-cork”. Brick is part of the Novel Collection, its subtle banding and woody texture adds a contemporary spin to the unmistakable cork aesthetic. Edge effortlessly infuses the classic herringbone parquet design with a thoroughly modern, informal vibe. Edge is part of the Novel Collection. Twist amalgamates it’s two sister patterns, Brick and Edge; the effect is an energetic blend of anarchy and order. Twist is part of the Novel Collection.